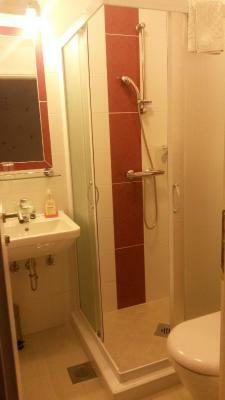 Lock in a great price for Bokun Guesthouse – rated 9 by recent guests! Very welcoming owner, the house garden is a paradise. 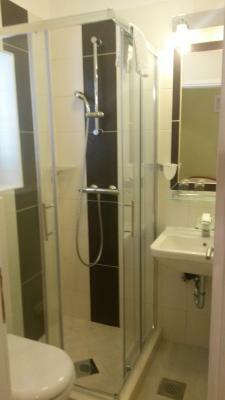 Very nice house, location is close to transportation. Breakfast includes fruits from the garden. Would definitely go back ! Lovely Guest House tucked away next to the port. 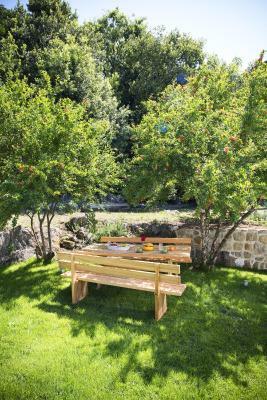 close to all the main areas you want to visit but tucked away in a nice quiet corner of the world where you can really sit back and relax by the pool. 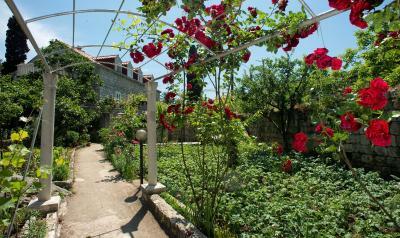 Lovely property especially the garden - you can literally stop and smell the roses here! Cristina was very helpful and accommodating. Very convenient if you are arriving by ferry - 5-10 min flat walk away. Beautiful setting. Great location; quiet but close to activities. The staff was very helpful and friendly. We hope to be back. 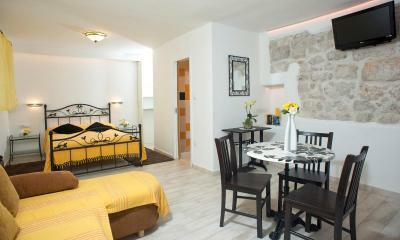 Great location by the harbour just a 20-25 minute walk to the old town or 5 minutes on the bus. Tony’s excellent directions meant we found everywhere very easily. 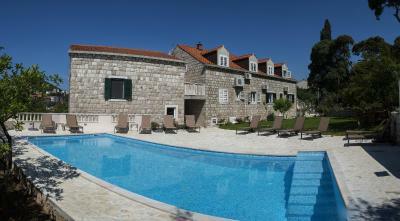 Would definitely stay here again if we return to Dubrovnik. We loved the friendly and knowledgeable Christina! And the freedom and relaxed atmosphere of the Bokun guesthouse was great too! An excellent place to stay! We liked our ride back to the the airport arranged by Tony. 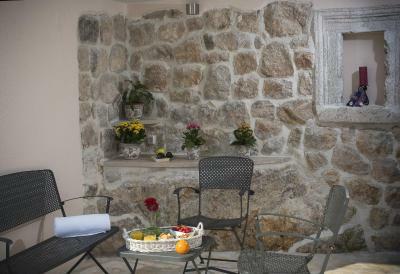 The guesthouse is situated in picturesque grounds with the pool and fruit growing etc. Toni was very helpful in recommending bars and restaurants to go to in the local Gruz harbour area and further afield around Dubrovnik. Room was very spacious. We enjoyed going out for food and drinks along the harbour in Gruz on the first night we stayed. 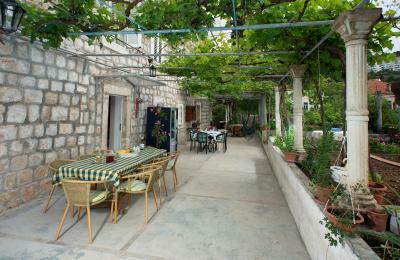 The guesthouse is also a short walk from a bus stop which was good for exploring further afield such as the Old Town, Lapad & Babin Kuk, but it is also walkable from all these locations as well. Bokun Guesthouse This rating is a reflection of how the property compares to the industry standard when it comes to price, facilities and services available. It's based on a self-evaluation by the property. Use this rating to help choose your stay! 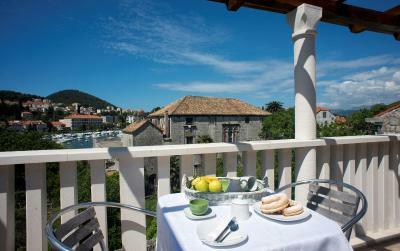 Set in a 400-year-old picturesque stone house, Bokun Guest house is located at the Adriatic Sea, close to Dubrovnik’s harbor. 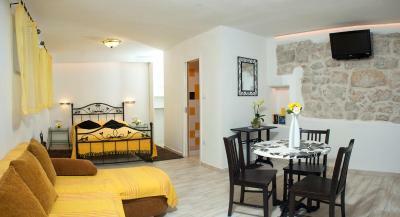 It offers air-conditioned accommodations with free Wi-Fi and an outdoor pool with a spacious sun terrace. 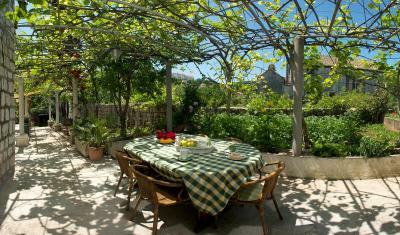 This guest house has a spacious garden and a covered terrace, hidden in the garden’s greenery. 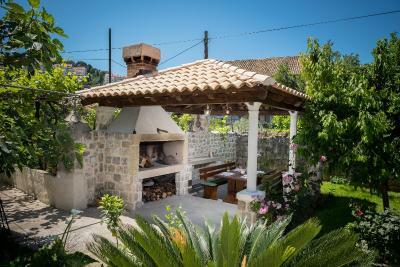 In nice weather guests can enjoy Mediterranean dishes made from organic products there. 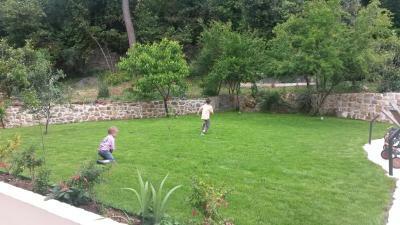 A children’s playground can also be found in the garden. 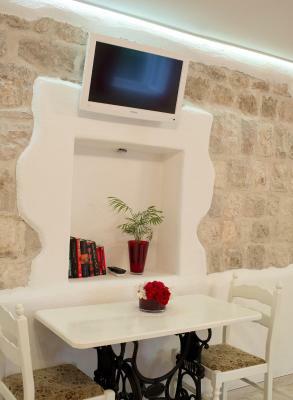 The Bokun’s rooms have satellite TV and overlook the garden or the harbor. 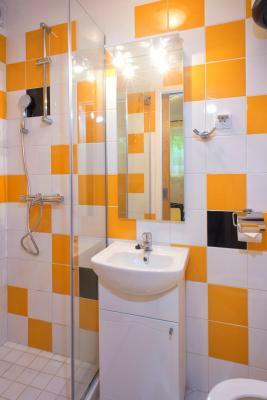 The apartments have a fully equipped kitchen with kitchenware, a refrigerator and a seating area. Guests can also buy homemade, regional products on site. 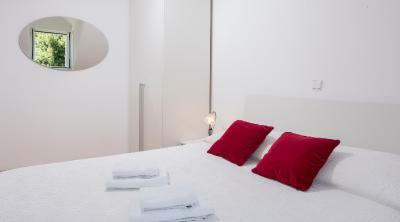 Laundry and ironing services, as well as a shuttle from the airport are offered against a fee. 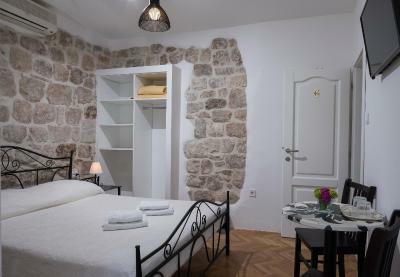 Bokun Guest house is a 20-minute walk or a 5-minute drive from Dubrovnik Old Town. The harbor can be reached within a 5-minute walk. Ferries, taking guests to Korcula Island or Bari, can be found there. When would you like to stay at Bokun Guesthouse? 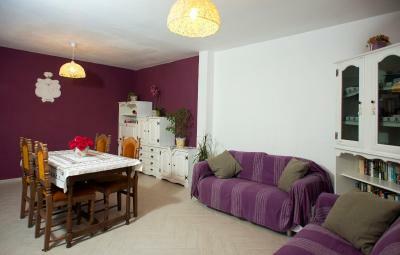 This apartment features air conditioning, satellite TV and a kitchen. One apartment is on the upper floor, while the other 2 are on the ground floor. This family owned guest house is accommodating guests for more than 30 years! Nestled in Gruz harbour close to main attraction but yet secluded from busy city with high walls and huge garden so is ideal for travellers who seek a feeling of a village in heart of city! House Rules Bokun Guesthouse takes special requests – add in the next step! 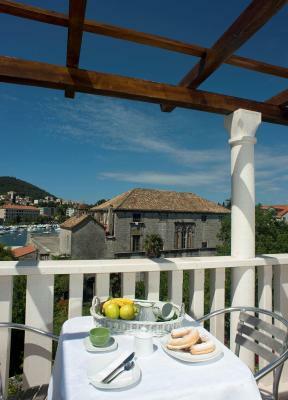 Please note that the guesthouse offers transportation from Dubrovnik Airport for an a fee. Guests are kindly requested to reserve this service in advance. Contact details can be found in the booking confirmation. The bed wasn’t old but wasn’t the most comfortable for us - other than that we pretty much liked it all. The bus trip up the hill to the old town was no problem and actually quite fun - we did however find the arrival at the bus terminal was rather too far from the Bokun for us to pull our bags so on going home a friend of Tony’s took us for 250 kuna - well worth it! 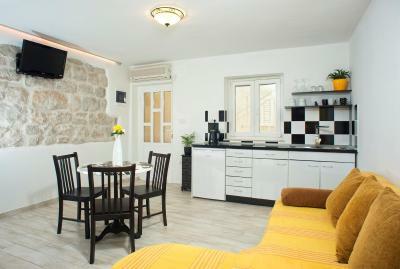 Location,near harbor with excellent bus service to old town. Very quite. Nothing about the property or staff, but if staying here remember to take insect repellant as we were bitten regularly by mosquito’s. It felt safe in a family environment. The gardens and pool were very good. All the staff were very attentive and helpful. Breakfast outside underneath the kiwi plants was good. It was very close to the ferry harbour, but being set back away from the road it was very tranqiul. It has a beautiful garden full of interesting fruit. We sampled the pomegranates at breakfast. Lovely pool to cool down in. Idyllic setting. Tony was a friendly and informative host. We even sampled their homemade lemon peel. A taste of sunshine. The host was extremely friendly and helpful. Beautiful gardens, we only stayed one night but it was lovely. 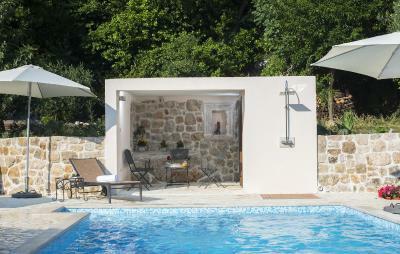 Very cute clean and welcoming with beautiful gardens and pool. We loved the whole experience of staying at Bokun guesthouse. very clean, lovely owners, brilliant pool area, we found our room perfect for our stay room 2....... they are all very relaxed and laid back about everything but there to help if and when you need it. We were so sad to leave. It is walk-able to the town but in the heat its no fun so we did cabs, a short walk out and up the road to the rank, buses were rammed so we could never get on it, we are really the last stop before the town, make sure you walk to Lapad and see the views and cave bar too...... tony will fill you in on where to go, We ate at Porat in the Harbour which was lovely, no bards to enjoy though that end of town really. 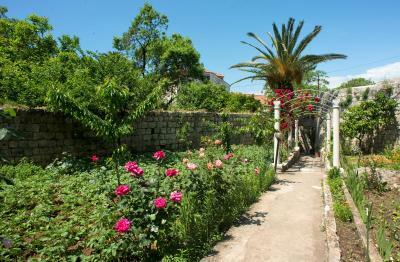 Just a lovely oasis in the heart of busy Dubrovnik. Simple accommodation and no frills but we loved it for that reason. A family run establishment - you felt part of the family whilst staying there. The pool was a great bonus too. 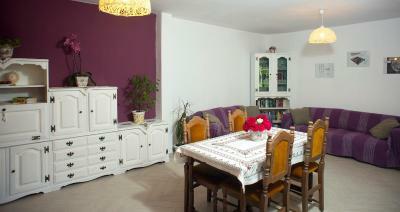 Good location for the port, the Lapad Peninsular and a short easy bus ride to the Old Town.